Many of us thought that there would be a “mini” version of Google Home introduced last year alongside the Google Home, but alas, no. It took a year for Google to answer the call, but it has definitely been worth the wait. 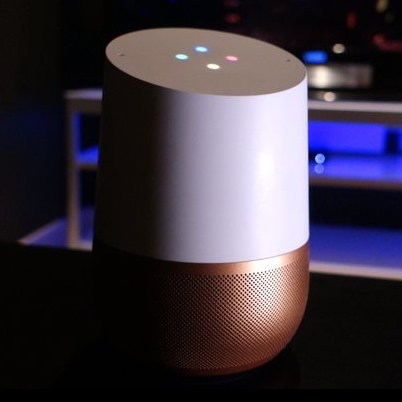 I’ll go into the details, of course, but let’s be clear…the Google Home Mini is a direct competitor to the Amazon Echo Dot. The Google Home Mini comes in three colors: Chalk (gray), Charcoal (very dark gray), and Coral (strawberry glazed donut). Oh, and it’s about the size of a donut. Yes, really. Google is even playing on this idea with their pop-up Google Home Mini Donut Shops across the country. Home Mini vs Home "Standard?" *Sadly, you can no longer use the “mute microphone” voice command with any Google Home device because of the change to the physical switch on the Mini. Other reviewers have reported differences in the voice recognition of the Mini as compared to the full-size Google Home, but in my tests I couldn’t reach a consensus that either one was better than the other at understanding me. I tested at close range, across the room, and all the way at the other end of my…literally tiny…home. There were no differences in how the Mini picked up my voice in quiet or noisy surroundings. 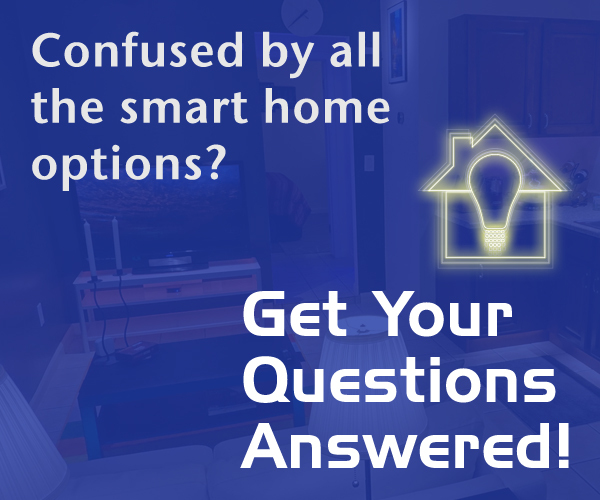 Of course, the Google Home smart speakers are cloud-based, so the functionality of the Google Assistant and what you can accomplish with them is identical. The physical attributes are what set them apart, just like the Amazon Echo Dot vs the full-size Amazon Echo. In my tests, the Google Assistant took care of everything on the Mini that I could ask of it on my Google Home, including all of my existing smart home devices, scenes and cross-connected “actions” via IFTTT and other services. Google Home Mini "Charcoal" on top of an Amazon Echo Dot "White"
Style: Three color choices, made at purchase time vs numerous Echo Dot color combos / cases. Fabric covered top, plastic bottom vs Echo Dot’s entirely plastic design. Voice Quality: While both Google and Amazon have worked to enhance the quality of the voice in their digital assistants, Alexa continues to sound dull and uninterested while the Google Assistant has quite a lively and fun personality. Both are equally understandable and tend to pronounce things fairly well. Their supported languages continue to slowly expand. Capabilities: Google Assistant has nearly caught up to Alexa in what it can do for you, including smart home tricks. Google Assistant is better at understanding context and what you’re ultimately asking for. Alexa can make intercom-like “Drop Ins” and more traditional “calls” between Echo devices and phone numbers, while Google Home devices are currently limited to just outgoing calls to phone numbers. Since all of the capabilities of both devices are based on regularly-updated cloud services, they will ultimately become quite similar, with slight differences designed to attract certain types of users. Sound Quality: Hands-down, the Google Home Mini blows away the Echo Dot. There is just no comparison. Granted, the Mini will not turn your home into a concert hall, unless you perhaps place four or six of them in a room, but I was quite happy with the relatively-rich sound quality and excellent volume in my reasonably-sized bedroom. Did I just say volume? The upward-firing speaker system in the Google Home Mini provides much higher volume output than the Echo Dot (1st or 2nd-generation). Just like Alexa's voice, the Echo Dot sound output is dull and lifeless compared with the Google Home Mini. Side view of Google Home Mini Coral. Mic mute switch and Micro-USB power cord shown. While I jumped on the Amazon Echo train with the first Dot in early 2016 because, well, it’s kinda my job. Once Google announced the Assistant and its capabilities, I couldn’t wait to get the Google Home. Today, I do use my Echo Dots now and again for testing and how-to stuff, and to prank call/message my Alexa bff Allison Sheridan. But the “voice-first” devices that I use regularly to control my smart home and get answers to random questions…are made by Google. Amazon may have been first to this smart speaker competition, and may now have a rather large lineup of devices, but it’s my belief that Google’s advanced voice capabilities, knowledge about the world and immense resources will lead it to ultimately win this race. (If you don’t quite understand the basic difference between Alexa and the Google Assistant, then remember this: Amazon ultimately wants to just sell you more stuff, while Google’s mission is to organize (and easily provide) the world’s information.